The Silhouette Cameo 3 differs from Silhouette Cameo 2 by new upgrades on its features such as Bluetooth, new dual carriages and latest updates to Silhouette Studio, design software that allows one to make their own custom and unique designs. This software is paramount for anyone interested in the Cameo 3 hence one may need to download it to your device or computer. Although it is not great in power compared to most new machines in the current market, the Silhouette Cameo 3 has the ability to easily cut through most vinyl and paper materials. It allows people who are interested in venturing into minor details for the projects they are designing. 1.6 What can be cut by the Silhouette Cameo 3? When compared to a regular home printer, Silhouette Cameo 3 is similar in terms of its shape and size. Unlike manual die cutters, which are mobile, the Silhouette Cameo 3 are usually connected to a computer hence must remain in relatively the same position. It is important to note that it has wireless features for flexibility especially in craft-rooms that are crowded. checkLCD touch screen capable to show all colors, with multiple languages, display icons for assistance during difficulties and even a full view tutorial. checkDual carriages that save time as one does not need to stop when cutting and printing. Just like the Circuit Explode Air, the Silhouette Cameo 3 comes with dual carriages which are better than single carriages which would require that if one wants to draw and cut on a project, the machine had to be stopped for you to exchange the blade or a pen. Dual carriages do this exchange for you hence there is no stopping the machine. Also, the machine’s push lock mechanism provides more security when compared to its predecessors’ twist mechanism. This feature is present in the Silhouette Cameo 3 and its predecessors. An image is sent from the Studio Software straight to the printer for it to print. The image has little marks on their corners called registration marks. After the material that has been printed is placed in the cameo, the registration marks are used as guides for the machine to know where the printed image needs to be cut. This feature differs from the Print and Cut feature by instead of the image or design being printed by the printer, the design is mounted on the PixScan’s cutting mat which has its own registration marks. This means that after placing the material on the mat, one can take a picture from a phone or camera and upload it directly to the design studio software where these cutting lines are formed and the image is then cut. There are different types of blades including the standard blade, deep cut blade, and the AutoBlade. The standard blade is the most versatile for many projects. The deep cut blade is usually used to cut thick material that the standard blade may be unable to reach. The AutoBlade is a new design that can automatically change its depth depending on the material that is being cut hence minimizing the ‘trial and error’ phase when faced with new material to cut. This is achieved by the printer adjusting the blade automatically by punching itself in the material’s corner, moving up and down until the best depth is achieved. After using the machine regularly, the blade starts to become blunt and dull hence it may no longer cut with precision. Once this is noted, then it required the current blade is replaced by a new one. The blade’s durability often depends on the frequency of use and the type of material in which it cuts. Thicker and denser material is known to make the blade blunter compared to thin material. What can be cut by the Silhouette Cameo 3? The Silhouette Cameo 3 can cut through materials with a force of 210 grams. If this is compared to other similar digital machines that cut through a die, the Silhouette Cameo 3 tends to lag behind the Circuit Explorer Air or the KNK Zing. Hence the Cameo 3 may not be able to cut through material like thin sheet metal or balsa wood. However, it is ideal for card making, scrapbooking and designing vinyl projects. The materials in which the Silhouette Cameo 3 can cut through easily include paper or card stock with the relatively narrow width, tissue paper, cardboard (such as cereal box cardboard), lightweight fabric, rhinestone material, vinyl, and iron-on transfer. The machine also comes with a double cut feature that can help in thicker material. This software comes free of charge after buying the Silhouette Cameo 3 and gives you the opportunity to buy or even make designs from scratch. The Studio Software has compatibility with most operating systems including Mac OSX 10.6.8 and higher and Windows Vista and any windows OS higher. When getting started, individuals who are graphic designers or have had experience with any kind of graphic designing software are known to be more comfortable in coordinating through the various features and functionalities in Silhouette Studio as when compared to those who lack any experience in this field. However, there are numerous tutorials and also online communities ready to assist those who are inexperienced to learn. If one is not looking to create their own custom designs, it is possible to import files from your computer or from an online source. Also, the Silhouette Studio Software has a trace tool which helps once one has already imported an image and wants to cut it. This feature will have the software automatically detect the image’s outline so as to cut the design. For those interested in buying ready-made images, it is possible to do this by purchasing them from the Silhouette Design Store, usually at an affordable price. The Studio Software usually comes with about 100 designs free of charge. Additionally, the Design Store has a weekly promotion that involves releasing a new design free of charge. Also, designs that someone buys are stored in a backup online account which is helpful in case, for example, one’s computer crashes or is stolen, they can access the designs they had already bought on this cloud at no extra costs. 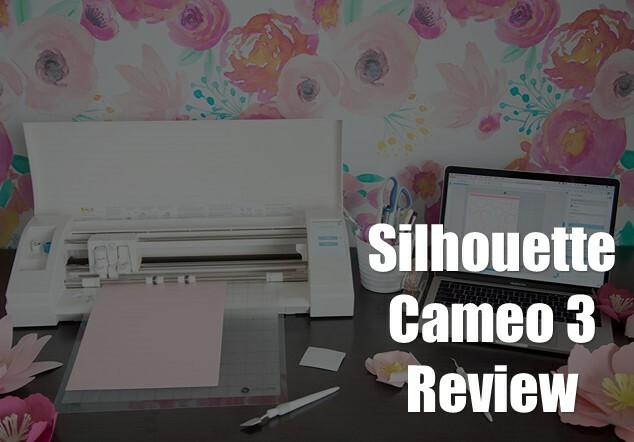 Once a person buys the Silhouette Cameo 3, it comes with a bonus free subscription to the Silhouette Design Store, where one receives a limited cash credit in which can be used to purchase designs. After this free subscription expires one may feel the need to get another subscription. This is possible as the Silhouette Design Store comes with a variety of subscription offers with various prices and the plans can span for a month, three months or even six months plans. Therefore, if a person plans on buying several designs they can find a subscription that can assist them to save a whole lot of money. After purchasing the Cameo 3 it comes with a basic version that is free of charge and with only a handful of features. If one wishes to have more features available to them in the software, it is possible to upgrade to the Designer Edition or the more costly Business Edition. The features which can be obtained free of charge, are access to various font types (for files on one’s computer), ability to utilize various file types including JPG, BMP and PNG files, various image effects like tinting and color saturation and the print and cut feature. Other features can only be found after upgrading to either the Designer Edition or the Business Edition. The features are such as the ability to use SVG files, one can use various layers, has an advanced knife and eraser features, one can sketch conversion tools, has nesting feature and has basic rhinestone conversion tools. There are certain features that can only be accessed by customers who have upgraded to the Business Edition (the maximum one can upgrade to). These features include having multi-cutting support, can allow tilting, has advanced nesting features and one has the ability to use weed line options. In general, for the Silhouette Cameo 3, to access and use SVG files one has to upgrade to at least the Designer Editions. However, it is common to find many online websites that allow use and download of SVG files for no extra cost. Also if one is working on a large file, it is likely that the software may become slow regardless of the specifications of one’s computer. On the plus side, the Silhouette Studio Software has compatibility with some other designing software including the MTC (Make The Cut), Inkscape and Sure Cuts a lot (SCAL). Also, Silhouette has another program called Silhouette Connect which allows you to send projects made by other software such as CorelDRAW or Adobe Illustrator directly to the Cameo 3 without having to convert them to a Silhouette Studio Software compatible format. To use the Silhouette Connect one needs to have a license key that comes at a small price. The Silhouette Cameo 3 requires little maintenance such as changing the blades from time to time and new cutting mats. In terms of the warranty, it is only for a somehow short period and only available in limited locations such as for customers in Canada and the US only. For those who may require support, there have been mixed reviews by customers in both extremes. For certain people, they have received quick customer support whereas for others they have had a more negative experience. Luckily, it possible to receive a lot of help from various community resources usually found online and more specifically in yahoo forums and Facebook groups. Also, there is an abundance of online video tutorials guiding on tips when getting started and they know how to create projects. The Silhouette Cameo 3 is not very versatile when compared to other similar machines currently in the market. This is mainly because the Cameo 3 can only cut through the thinner material than its competitors. This mainly depends on the projects one is undertaking hence it may not be an issue for some especially for users who are not interested in cutting through a leather material or balsa wood. It is safe to say that the Silhouette Cameo 3 has features that are sufficient and can be expected from a machine that cost its price. Its greatest advantage is that it can function fully without the presence of internet connectivity. The Silhouette Studio Software can also be described as powerful especially for those specializing in custom designs. The Cameo 3 has also been described as quite easy to operate mainly because its interface is simple to work and interact with. This is also made easier by user tutorials available online. Its dual carriage functionality also makes it superior and much more efficient to the previous versions. 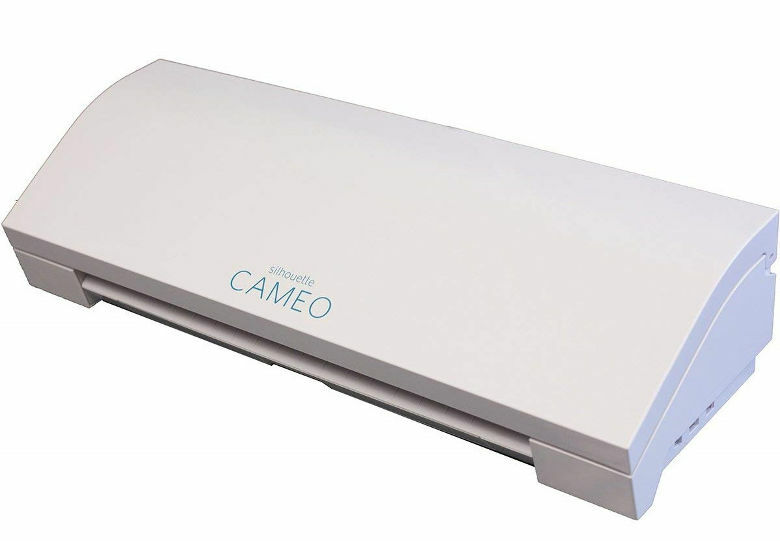 Some of the disadvantages of the Cameo 3 is the user needs a variety of extra accessories to be able to use it such as cutting mats, cutting blades, weeding tools, dust covers, and transfer tools just to mention a few. Another disadvantage is some of the accessories required turn out to not be necessary after use once hence appearing as a poor economic choice for users. Such items are like the Silhouette Weeding Tool Kit that may have some essential items but quite a number go unused. Sketch pens are also not very useful unless they are being used by artists who have planned to be involved in a lot of drawing.